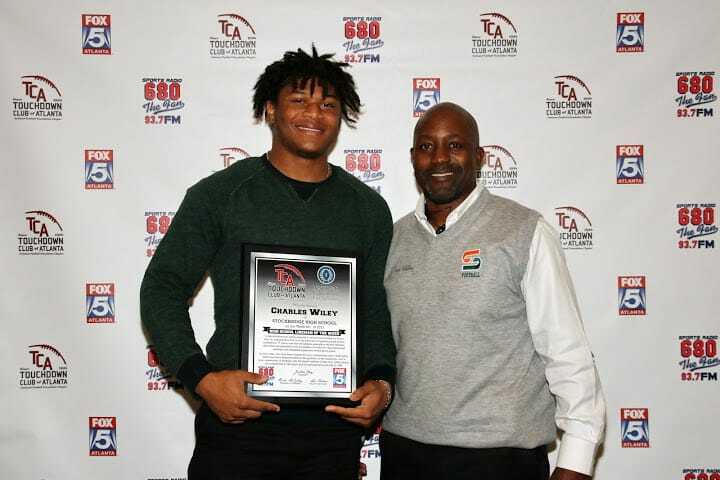 Charles Wiley, Stockbridge DE 6’3” 235 lbs. Wiley is the leader on defense for the 3rd ranked and undefeated 5A Stockbridge Tigers. The AJC Super 11 selection and Rising Senior All-Star has recorded 14 sacks on the year, which leads the state of Georgia and he is ranked as the 31st best DE in the nation according to ESPN. The Ole Miss commit was part of a dominating effort 62-0 over Union Grove. For his dominance and leadership, Charles Wiley is our Lineman of the Week.